Per customer request... the Super30TM Locker! Most Economical Price per Door! 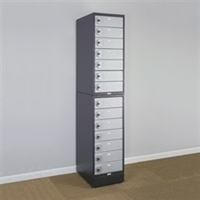 Our new 16-Door Cell Phone Locker provides secure temporary storage of cell phones, smartphones, and digital cameras. 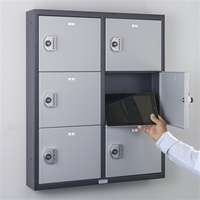 This cell phone locker may also be used as a fitness center checking locker for small personal belongings such as wallets and keys. 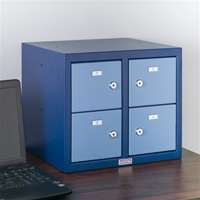 Our cell phone lockers have the most robust master door on the market today. 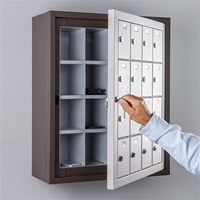 Each cell phone locker has individually locked compartments. 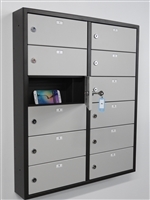 The cell phone locker compartments are secured by high security chrome plated brass locks or by user definable combination locks (UDCL) which allow users to create and change their own combinations. 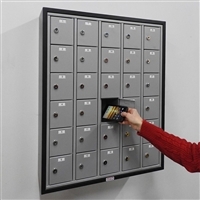 Our cell phone locker installations include military areas, government agencies, school locker rooms, fitness centers and workplace. 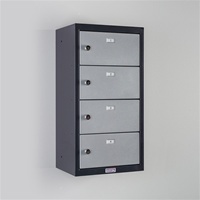 Check out all of our cell phone lockers. 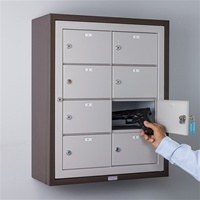 Our top-of-the-line pistol lockers include: wall mount pistol lockers, desk mount pistol lockers, and a new 8-Door Pistol Locker that may be surface mounted or recessed. 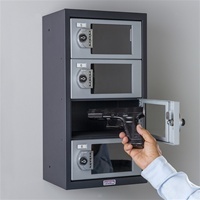 These handgun lockers are designed for the temporary storage of law enforcement issue semi-automatic weapons. 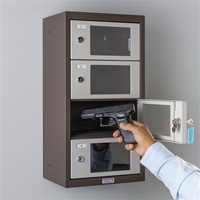 All pistol locker compartments are secured by high security chrome plated brass locks. 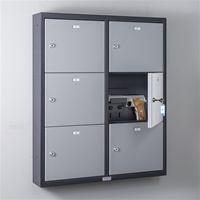 Our pistol lockers have been installed in police stations, courtrooms, interrogation rooms, detention areas and sally ports. 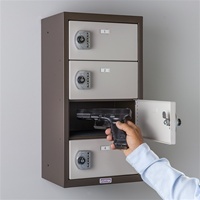 All pistol lockers are welded for extra strength and made in the USA. 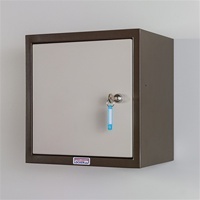 Both horizontal and vertical pistol locker models are available. 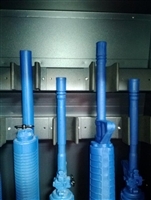 The Visi Locker™ is our latest innovation in see-thru thermoplastic doors that allows for constant management supervision of weapons stored in pistol locker compartments. 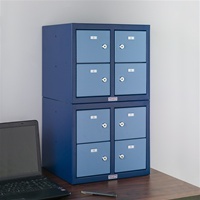 All cell phone lockers, pistol lockers by Precision Locker Company are available in a choice of architectural color combinations, and are shipped to you factory direct with a 2 year limited warranty. Our Customer Service Center (“CSC”) provides key and lock replacement.